Top 5 Championship relegated players! Another Championship season has been drawn to a close with its usual drama throughout the whole season. Unusually the relegated spots were all occupied before the last game of the season with Bolton, MK Dons and Charlton the three clubs who failed to avoid the drop. The Trotters and Addicks had to endure a tough season both on and off the pitch while MK Dons put up a fight throughout the season in their first spell in the second tier but ultimately didn’t have enough. Despite failure this season, these clubs still possess some talented players, who now find themselves in the third tier. I look at the best players from the relegated clus and identify what their futures should hold. A terrific young player, Clough has unfortunately had a few injury problems this season but still shone when on the pitch with his great balance and ability to find the net. The forward rejected the chance to move to Bristol City in January which I think in hindsight may have actually been a good move for his development, playing in a good footballing side where he would’ve got game time. There is sure to be interest once again in the academy graduate who hit 7 league goals this season. A move to the Championship where Clough is guaranteed game time would be the best move for him however a spell in League One would also do no harm as he would surely prove himself to be top class talent in the third tier. With Charlton relegated, this could be an opportunity for a Premier League club to cash in on one of hottest young prospects in the Football League. The 18 year old has been a small positive in a miserable season for the London Club with his raw talent on show and scoring 5 goals in a debut season with limited appearances is highly impressive. The forward has the ability to beat a man and while his cutting edge isn’t finished by a long way, there are signs that yet another academy graduate produced by Charlton has what it takes to become a top player. I think Lookman can become an important part in the Addicks campaign next season if used carefully so staying with Charlton would be the most sensible move in my opinion. However if a Premier League did come calling with a large offer, they should look to sell and get the teenager back on loan. The 28 year old is an impressive midfielder who is set to play his football in League One. However his injury history is alarming and one that must frustrate Bolton fans time and time again. His ability to pose a threat with clever runs from deep means Davies has the ability to chip in with goals for his side but getting consistency is very difficult when always getting injured. 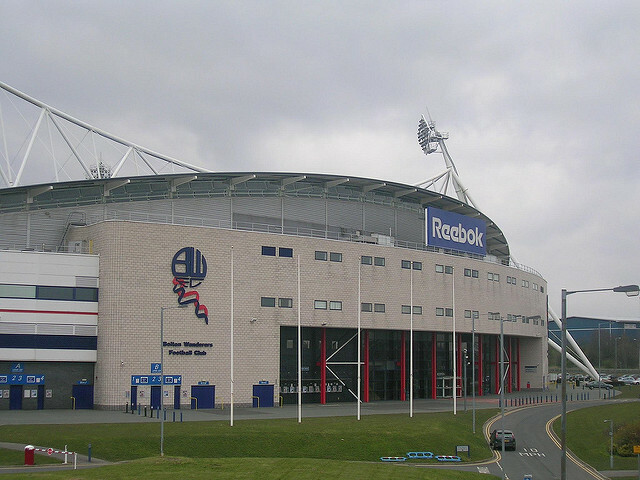 With financial worries, Bolton wanted to offload the midfielder to free up his wages. Despite his talent I think the Trotters should look to get rid of Davies to free up finances and to replace him with a player who can cope with the rigours of a 46 game season. The Iceland international is a talented winger who operates on the right hand side frequently cutting in on his stronger left foot. The 25 year old has been able to contribute goals and assists during his time at Charlton and it would be interesting to see how he would fare if he were to move to another Championship club. Gudmundsson will have the opportunity to showcase his talent on a big stage when he goes to the Euro’s with Iceland as he has been named in their 23 man squad. I think the former AZ Alkmaar man would be a good addition to a few Championship clubs who could do with a winger such as the likes of Nottingham Forest, Ipswich or Wolves. It’s been a frustrating season for club and player with the Angola International injured for key spells during the season. Having signed from Copenhagen the season before, the Charlton striker made an instant impact for the club collecting the Championship Player Of The Month award for August 2014. Vetokele has lightning pace and provides a threat in behind defences. He was able to contribute a good return of 11 goals in his first season but has of course struggled this time with fitness issues the main factor. A move away from the Valley might be a good one for the player but it could prove difficult with the season he has just had. Charlton and Bolton fans, do you agree that these are your most talented players? Which ones do you think would be best to cash in on? Let us know in the comments below!